After making a purchase you’ll be provided with a link to click in order to download your course. This link is available on your receipt e-mail. Shortly after clicking the download link on your e-mail receipt you’ll see a screen similar to below. Please click the RUN option. The course will then take a few minutes to download and you should then see a screen similar to below. 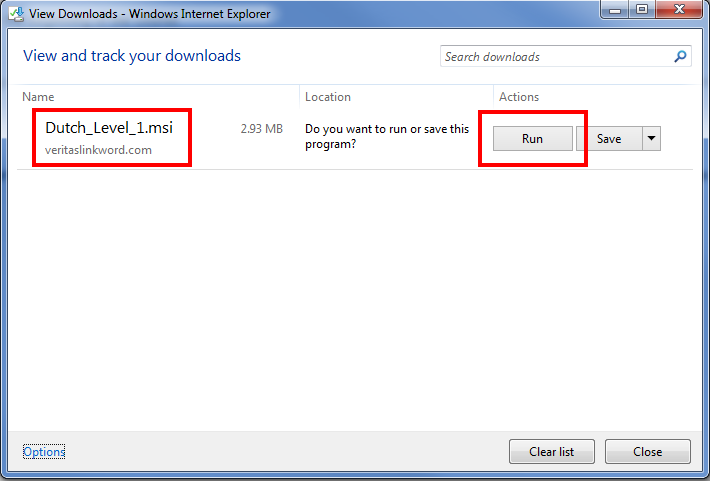 On this screen, please click the NEXT button to install the course on your PC. 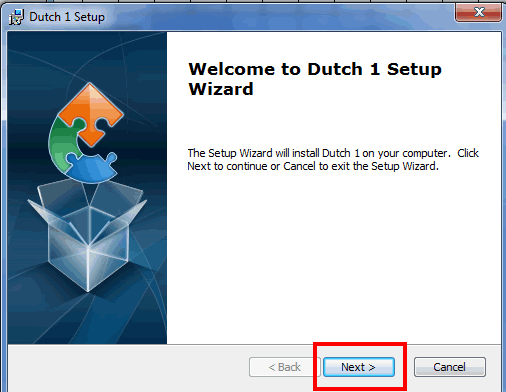 When software installation is complete, please click the Linkword language name icon (e.g. Dutch, French or Spanish etc) on your desktop to begin the course. Instructions for using the course are presented at the beginning of the course.